One part of CMAA’s work has been in sharing Gregorian chant resources through the Internet, by making rare chant books available as free downloads in PDF format. Today we are adding another major part of the Gregorian repertoire to our on-line collection. 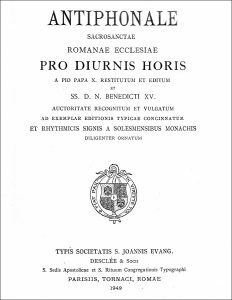 The Antiphonale Romanum is now available in the last edition published before the liturgical reforms. 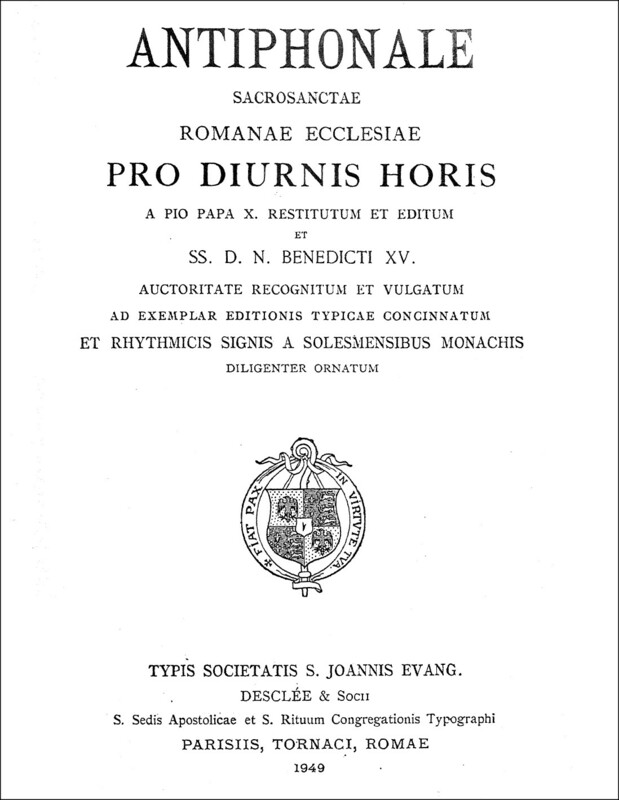 This book (also called the Liber Antiphonarius) is the 1949 edition from Solesmes, with appendices and updates to 1960, when the feast of St. Joseph the Worker was made universal. At over 1500 pages, it provides a vast and essential reference for celebrations of Lauds, Vespers, and the other canonical Hours according to the Extraordinary Form of the Roman Rite. The book (100 MB) is available for download here: Antiphonale Romanum, and it’s also listed on the “Resources” page of this site.